During the first quarter of 2018, Apple sold an estimated of 600,000 units of its HomePod smart speaker. 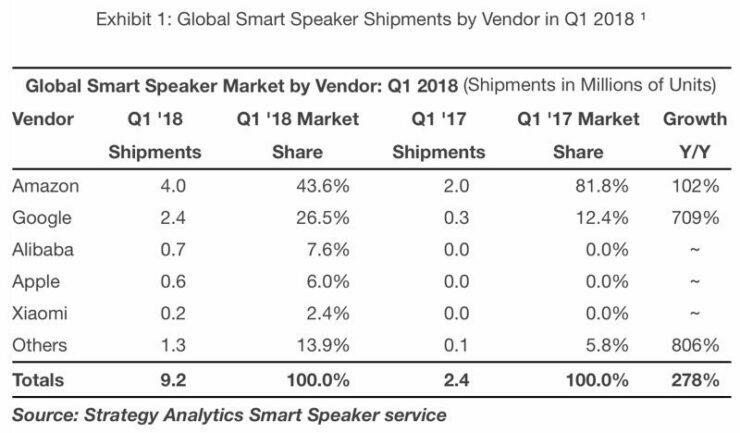 The numbers were shared by Strategy Analytics detailing that the sales captured 6 percent of the global smart speaker market coming behind Amazon, Google, and Alibaba. So let’s dive in to see some more details on the matter. As for brands other than Apple, Amazon shipped an estimate of 4 million Echo smart speakers during the same quarter capturing 43.6 percent of the market share. Google, on the other hand, shipped 2.4 million Google Home speakers catering 26.5 percent of the total market. Alibaba came third with shipments above Apple with 700,000 units shipped. This makes the HomePod smart speaker take the fourth position on a global smart speaker race. At this stage, Apple is far behind the sales of Amazon and Google. Amazon and Google have a staggering growth rate compared to the past year. Both companies saw an increase of well over 2 million units in the time span. Check out the stats below for more details on the scenario. If we take the overall smart speaker industry into consideration, there were 9.2 million units shipped in the first quarter of this year. Even though the HomePod is a new player in the race, it still has a lot of catching up to do with Amazon and Google taking the lead. Amazon and Google have a wide range of smart speakers coming in at different price points. This ensures its availability across various levels and potentially counts as an important factor when we speak of unit shipments share. Apple on the other hand only has one speaker that costs $349. Moreover, the HomePod is not for everyone as it is strictly limited to Apple’s ecosystem. The higher price target and the ecosystem restrictions are one of the major reasons why the target audience chose Amazon or Google to some extent. 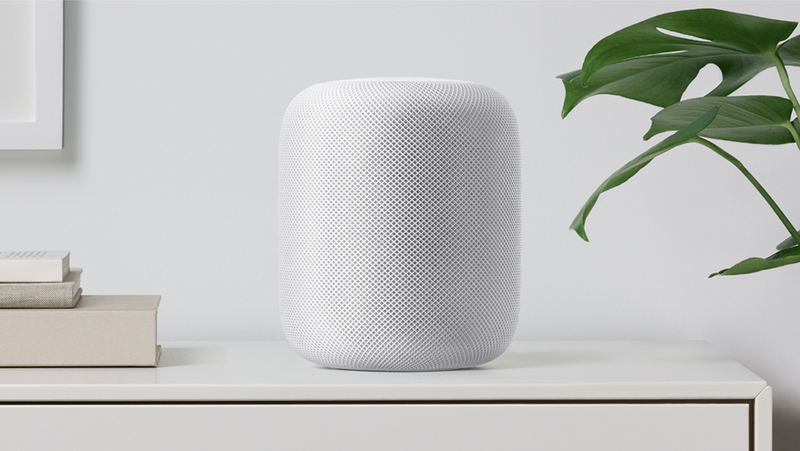 The HomePod focuses on great sound quality as well as the build quality. There will be more to the story, so be sure to stay tuned in for more details. This is all for now, folks. What are your thoughts on the HomePod and other key players in the smart speaker race? Have you considered getting Apple’s Siri-powered smart speaker? Share your views with us in the comments.